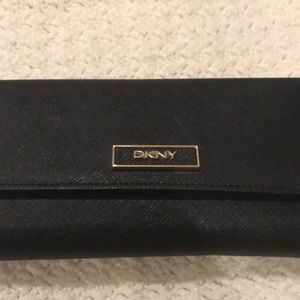 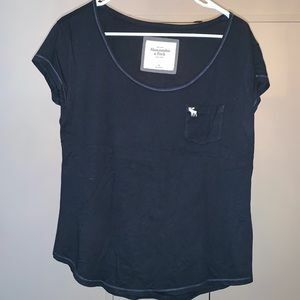 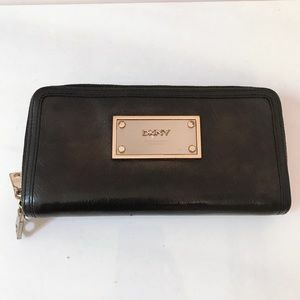 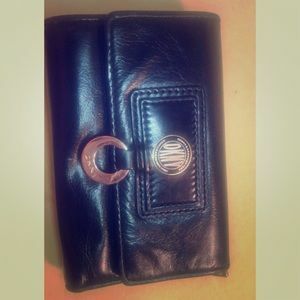 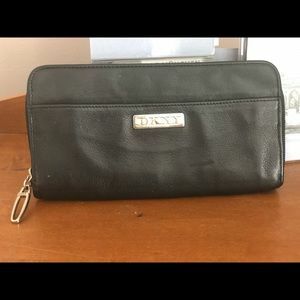 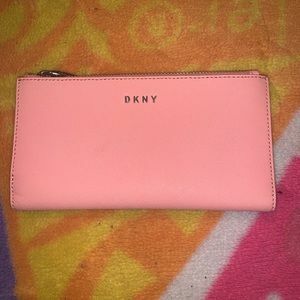 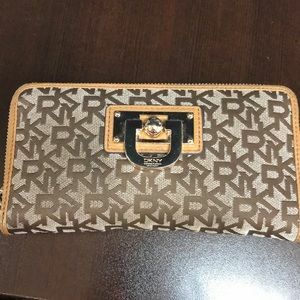 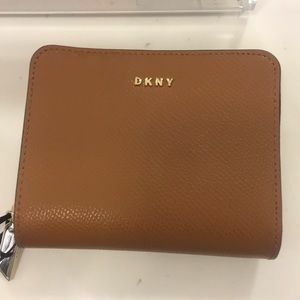 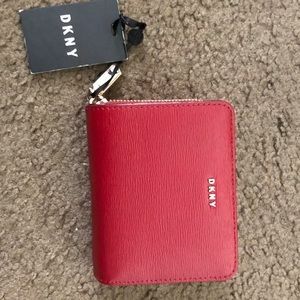 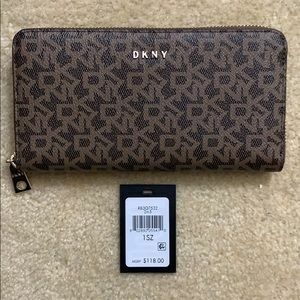 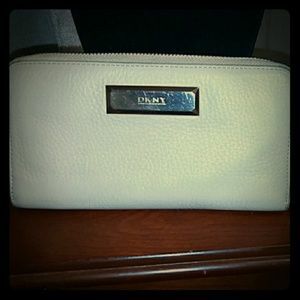 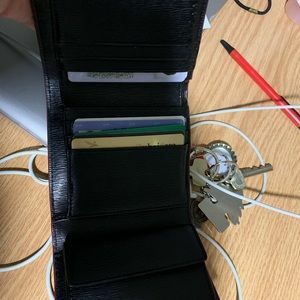 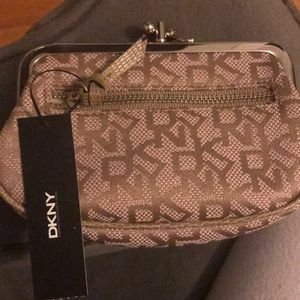 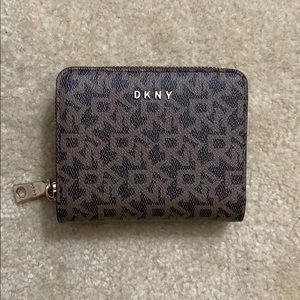 DKNY Large Zip Around Wallet. 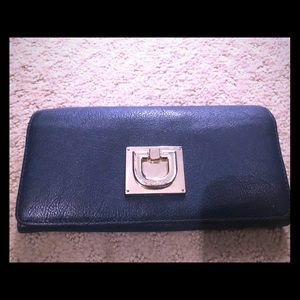 Hardware – Gold Tone. 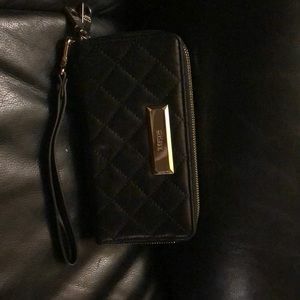 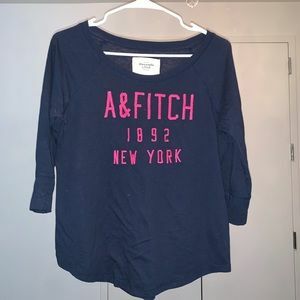 Item is good pre-owned condition, no unpleasant odors, has a long life remaining. 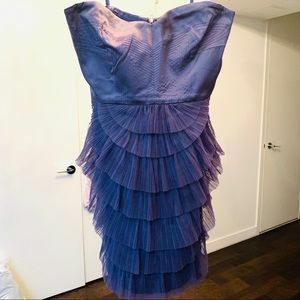 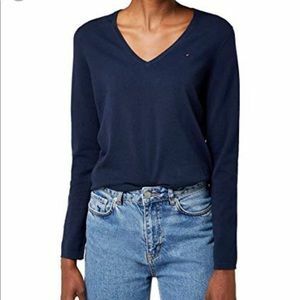 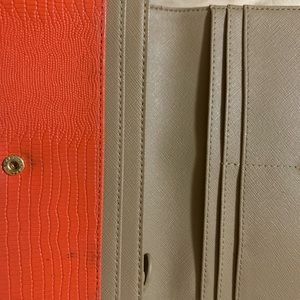 Material – Genuine Leather. 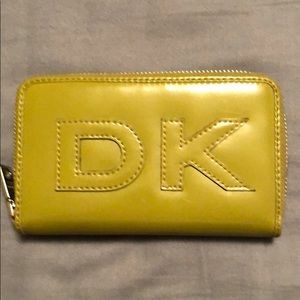 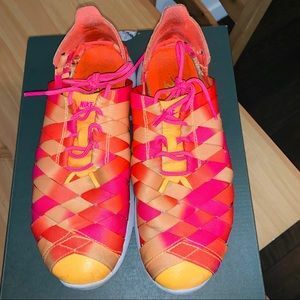 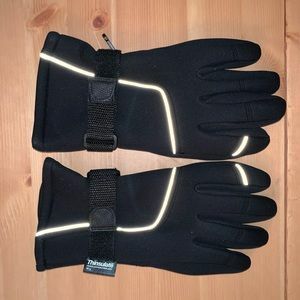 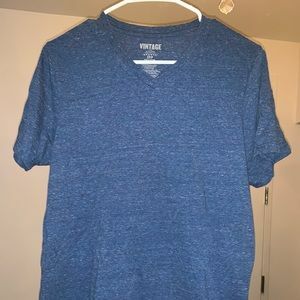 leather shows little wear and scuffs. 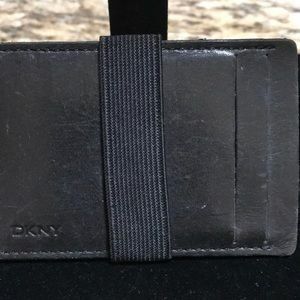 Dark blue DKNY leather wallet.